Living Water Systems specializes in residential and construction site dewatering for the Front Range and mountain regions. For instances where the groundwater table is high enough to present issues with excavation or site construction, a reliable dewatering system can be engineered accordingly. Our turn-key systems have been proven in the most challenging of environments and carry amazing success rates. We have had the privilege of successfully installing systems for the likes of the Vail Ritz Carlton, Manor Vail, Solaris, and many other programs throughout the Vail Valley and the like. 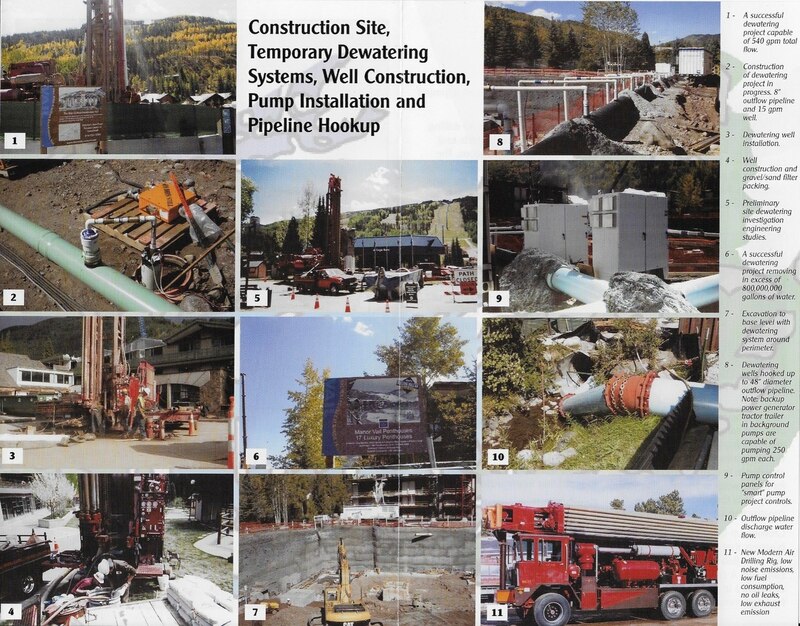 We can also provide preliminary site dewatering test studies and have great working relationships with many top Hydrologic engineering firms in the state of Colorado. Please call for information!